Listed by Lori Caldwell DeVries of the Real Estate Center of Spearfish (605) 641-7529. Enjoy affordable one-level living in a newer updated stylish 3 BR/2 BA home! 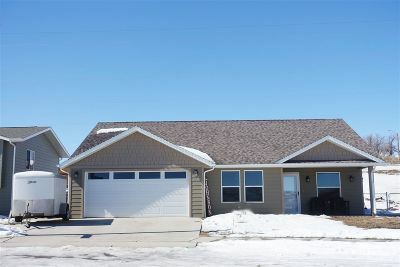 This patio-style home was built in 2014, conveniently located near exit 8 in the newer McGuigan Addition in Spearfish. You will feel the warmth of this home as you enter it. Features include tile and carpet flooring, stainless steel appliances, beautiful cabinetry, an open kitchen/dining/living area with a vaulted ceiling, and an attached heated 2-car garage. Need a place to put your boat or recreational vehicles? There is an extra concrete pad for additional parking beside the garage. This home is move-in ready, and couldn&apos;t be any cuter!